Is the Government really minding mental health? THE DECISION by the outgoing Fine Gael/Labour Government to reallocate €12million in funding initially designated for mental health caused much furore in recent weeks. The cutting by over a third of €35million “ringfenced” for mental health developments in Budget 2016 resulted in protests by the Union of Students in Ireland as well as generating media and public anger. It was difficult for many to understand why, with high suicide rates and huge numbers of people suffering from mental health problems, the Government could see fit to divert these funds. Unfortunately, there is form in this regard. The past number of budgets have seen an underspending of many millions on mental health as resources are used elsewhere in the Health Service Executive. Not only is underspending of budgets routine, our mental health spend is only roughly 6% of the total health budget, as compared to 13% in Britain. The consequences of the lack of investment impact on every level with potentially devastating results. Public patients are waiting for up to a year to see a psychiatrist or psychologist – needless to say, for someone who is suicidal, this could be a fatal delay. Despite their brutal showing on the ground, Government ministers are at pains to portray how much they care about mental health. 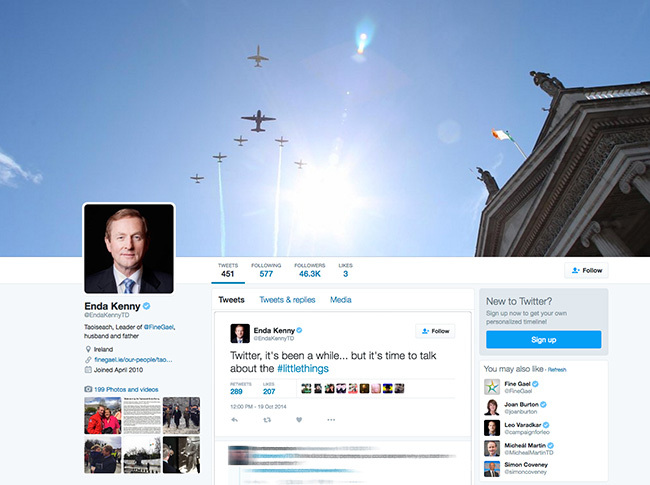 Taoiseach Enda Kenny resurrected his Twitter account to drive a campaign on mental health called #littlethings. This resulted in condescending if well-meaning advice being doled out (sample: “No better way to clear your head than an old spin on the bike #littlethings”), as though someone in the depths of their despair would read a homey tweet from Enda and feel the burden of their pain magically dissolve. And it was not through an intricate mix of winks, finger pistols, thumbs up and high fives that Enda Kenny divined this initiative. It was part of a HSE awareness campaign that received a lot of media attention at the time – a launch, website, and downloadable posters with captions such as “Add friends to your tea” or “Do things with others, there’s strength in numbers.” This follows many other similarly-styled awareness initiatives, and while they have a part to play, it’s hard to shake the feeling that they are a relatively cheap and photo-friendly way for the Government to claim some action on mental health issues. Whatever about governance by press release, this is health service by inspirational quote. A Vision for Change, the existing mental health policy was published to wide acclaim ten years ago. However noble its aspirations were, there has been a failure to put many of its proposals in place. This is primarily due to insufficient funding as well as a huge reduction in mental health staff due to recruitment embargoes and employment moratoriums (staff numbers have actually reduced by 1,200 posts since 2008 whereas the policy envisaged an increase of that very amount). The policy has also fundamentally lacked oversight. An Independent Monitoring Group established to oversee the report’s implementation saw their recommendations largely ignored. They were then quietly disbanded in 2012. Two years ago, the European Children’s Health Alliance found that, despite high suicide rates, Ireland was lacking in a national strategy for the prevention of suicide and self-harm. The following year, Connecting For Life: A National Strategy for the Prevention of Suicide, was launched with its own ritzy hashtag and circle of smiling people in rainbow colours but lacks a detailed implementation plan. There is much focus on terms such as “enhancing supports”, “increasing partnerships” and, of course, “awareness campaigns” but practically nothing on the resourcing of the project. The health service is creaking from years of under-investment. With the HSE budget deficit likely to be €500million this year, one would question whether it was wise or even morally sound that €750million was spent in cuts to income tax in Budget 2016, the majority of that benefitting higher earners. The “ringfencing” of services is unlikely to serve as any protection when it exists in a system that is starved of funding. 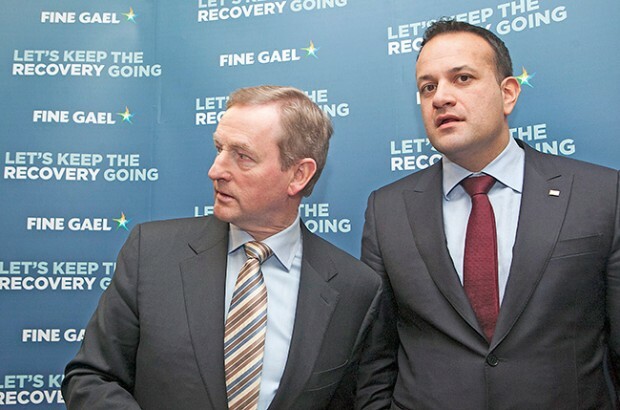 Fine Gael Health Minister Leo Varadkar put the reassignment of the controversial €12million reallocation from mental health down to an inability to recruit staff. Staff shortages in mental health, however, have been a reality for many years with no effective measures put in place to tackle the deficit. Healthcare professionals have pointed to overcrowding, poor conditions, poor training and insufficient pay as deterrents from working in Ireland. Political decisions that Enda Kenny has presided over show that, while he likes to talk about mental health, he is not ideologically disposed to committing the large-scale investment that’s needed for improving our services. A Vision for Change was supposed to be completed in full this year. Regrettably, the outgoing government brought mostly vision and little change.